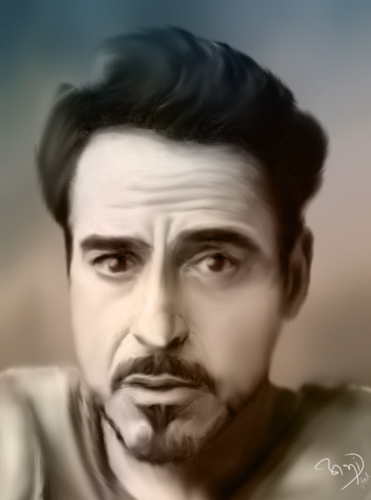 Digital Paintng | Robert Downey Jr.
Robert John Downey, Jr. is an American actor whose career has included critical and popular success in his youth, followed by a period of substance abuse and legal troubles, and a resurgence of commercial success in middle age. Downey has starred in several movies that have each grossed over $500 million at the box office worldwide. Three of those films, The Avengers, Avengers: Age of Ultron and Iron Man 3, each earned over $1 billion. For three consecutive years from 2012 to 2015, Downey has topped the Forbes list of Hollywood's highest-paid actors, making an estimated $80 million in earnings between June 2014 and June 2015.